If your wedding budget is tight, you might be considering DIY wedding invitations. I made all the stationery for our wedding – every Save the Date, Invitation and RSVP. I wanted to save a bit of money, but I also wanted to flex my creative muscles. I’m glad I did it, but at the time I did curse my decision a bit. Especially the time I cut my finger on the crappy paper trimmer I’d bought and bled all over the invitations I’d made that day. #cryinglikeababy. As much as I LOVE my glue gun and getting my craft on, handmaking your wedding invitations isn’t for everyone. It can be time-consuming, and if you’re not careful, sometimes it can cost more than just going out and buying them. Should you buy or DIY Wedding Invitations? 1. 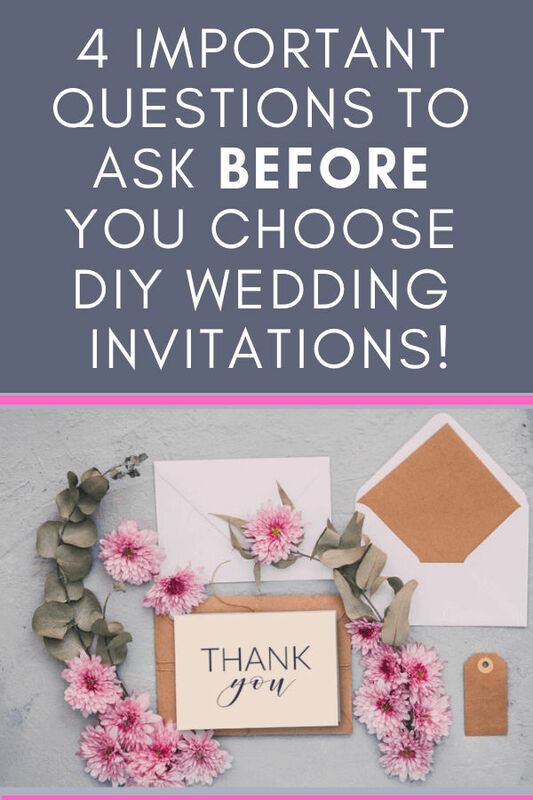 Do you actually like crafting enough to create your own invitations? Be realistic about how much DIY you actually want to do for your wedding. If you despise getting crafty, there’s no point taking on very detailed hand-painted stationery, for example. 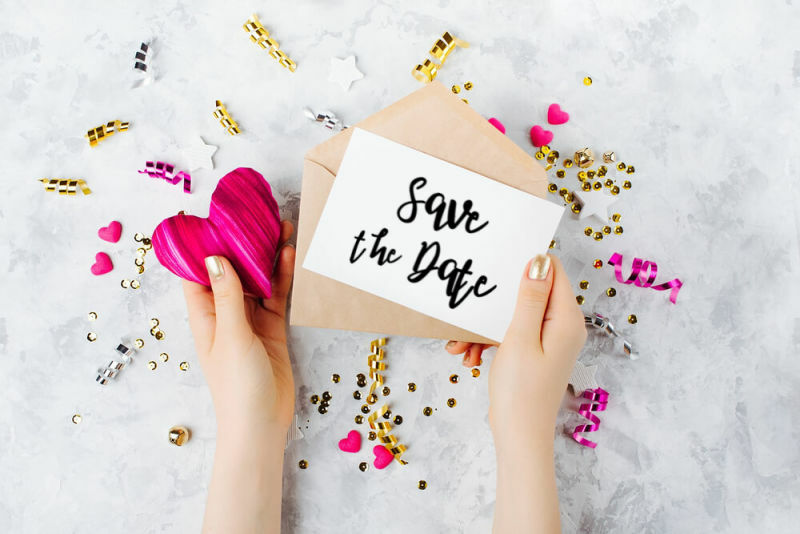 But, don’t be put off if you’re not very experienced with crafting – there’s definitely a DIY wedding invitation method for every skill level. Printable wedding stationery is the perfect example of a craft-free ‘DIY’ option! 2. How much will it cost to make your own wedding invitations? What materials will you need to make the invitations? Consider card, paper, envelopes, ink, embellishments such as ribbon/ lace. Will you need to buy any special tools that you don’t already own? If you have your heart set on a laser-cut look then you’re talking $250+ for a Cricut. Have you costed how much it would be to buy similar invitations? Is it cheaper to DIY them considering the time you’ll spend making them? 3. Do you have time to create wedding invitations? This is a big one. The last thing you want is to resent your engagement due to endless crafting sessions, so it’s crucial that you give yourself enough lead-time. I didn’t do a very good job of this myself and left a lot of the invitations until the last minute. Cue blood-gate and major tears. The moral of the story is to buy a better paper trimmer than the cheap one I was using. But also, to be realistic about how much time it will take you to make your own wedding invitations. How long until your wedding? If your wedding is only a couple of months away, now is not the time to choose really intricate handmade stationery. 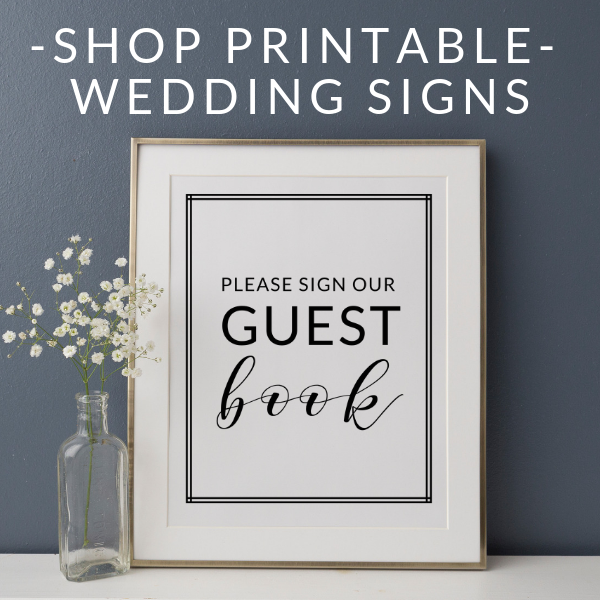 Printables, on the other hand, would be perfect for you! How much free time do you have every week? Wedding planning takes over enough of your life, be sure that you leave enough time for your betrothed, family and friends. Have you done a practice run? Try making one or two of the invitations and time how long it takes you. Then you’ll have an idea of how long you’ll need to make the entire amount you need. 4. Do you have help with your DIY wedding invitations? 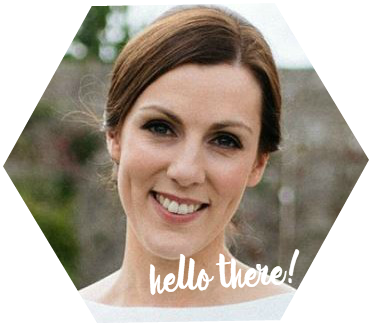 Some help from your other half, family or friends could make or break you when you have mountains of fiddly invitations to put together. I know lots of brides make it into a ‘fun’ activity to do with their bridesmaids. Provide some bubbly and yummy treats and I’m sure nobody will be complaining (just maybe limit the alcohol so you don’t end up with piles of crooked invitations!). If you’re worried that you don’t have the time, then you can still opt for a more budget-friendly ‘DIY’ option. 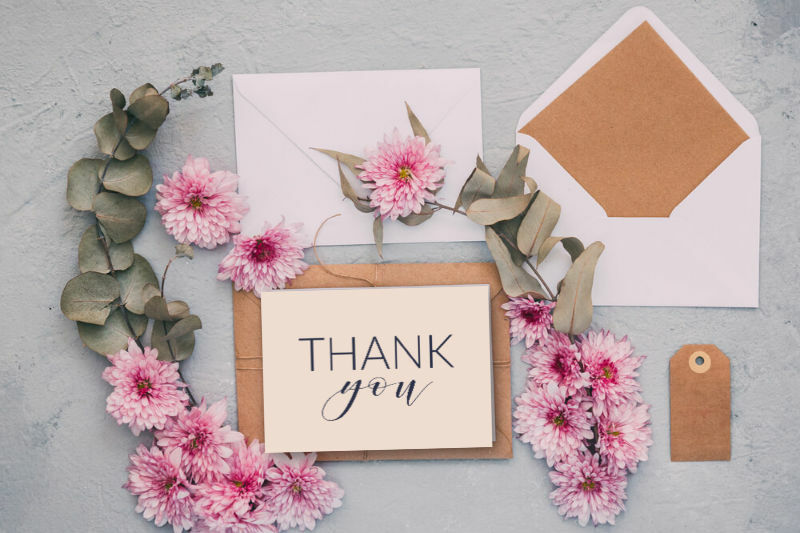 Check out my ultimate guide on How to Make Your Own Wedding Invitations – there’s a DIY wedding invitation option for every skill level, promise! Are DIY Wedding Invitations the right option for you?